Have you received a traffic citation in Vance County, North Carolina? iTicket.law and our Henderson Traffic Attorney is here to help! Traffic Attorney Garen McClure is one of iTicket.law and Hatley Law Office's most seasoned attorneys. For the past 6 years he has practiced criminal and traffic law in North Carolina. Before coming to North Carolina, he practiced in litigation in New York City. Garen has a diverse set of legal skills stemming from his experience practicing in litigation, criminal, and business law. He uses these skills to help minimize the amount of damage a traffic citation can do to your license and insurance. Attorney McClure has a great amount of experience negotiating on the behalf of his clients to reduce and even dismiss their traffic tickets. 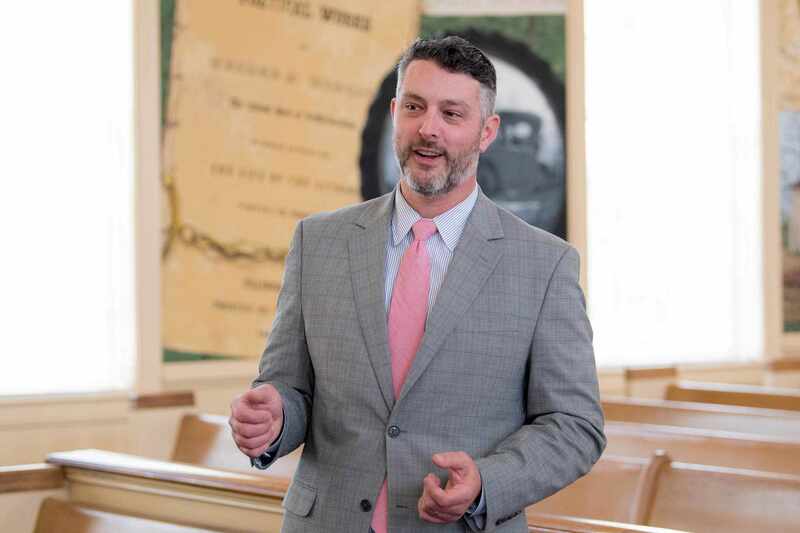 So why waste your own time when you can rely on an Attorney as experienced and successful as Vance County Attorney Garen McClure? For the most part, if you hire Attorney McClure you would not have to appear in court. * Hiring our office can save you time, money, and energy. You would not have to take the time and opportunity cost to call off work to come to court. We do not recommend paying off your ticket without first consulting with an attorney, and iTicket.law offers free phone consultations. If you pay off your ticket without first negotiating a reduction to a lesser offense, there can be serious legal ramifications. Any time you pay off your ticket, you are pleading to the offense listed on your citation. This can be seriously damaging. For instance, admitting to speeding just 10mph over the limit in a 55mph zone could result in 3 points on your license and an increase in your insurance premiums of 45% for three years. For just 99$ for the average speeding ticket, Criminal Attorney Garen McClure at iTicket.law can seek to relieve you of the stress and burdens of handling a traffic citation. If you do decide that having a traffic attorney like Attorney McClure is in your best interest, we encourage you to consider us. iTicket.law has offices all over the state and with our innovative online process we aim to be your traffic law solution, no matter where you are. Our vision is to bring the legal industry into the 21st century. If you have a traffic citation in Henderson, North Carolina and don’t feel comfortable going to traffic court, please call us at (919) 200-0822. . Thousands have and are happy because of the relief that Attorney McClure obtained. Check out our reviews on Google and have confidence in our 100% Satisfaction Guarantee*. Vance County Attorney Garen McClure and the iTicket.law staff will investigate your traffic citation and seek the best possible outcome. Attorney McClure will fight for you. For more information on Vance County, please visit the Vance County Directory. Isn't it easier to mail in payment for my Henderson traffic ticket? In Vance County, your citation will indicate whether your appearance is mandatory. However, with some exceptions, your Attorney will be able to appear in court on your behalf without you having to be there. Generally, the exceptions are for more serious charges, when the violation could cause automatic license suspension or jail time. Is it not easier to just pay off my Henderson North Carolina traffic ticket? At first glance, it might seem easiest to immediately pay off your ticket by mailing in payment. However, doing so means pleading guilty in full to the offense for which you were charged. Paying off a ticket can have serious consequences. Namely, your auto insurance rates can skyrocket, you might have points assessed to your driving record, and your license can even be suspended. 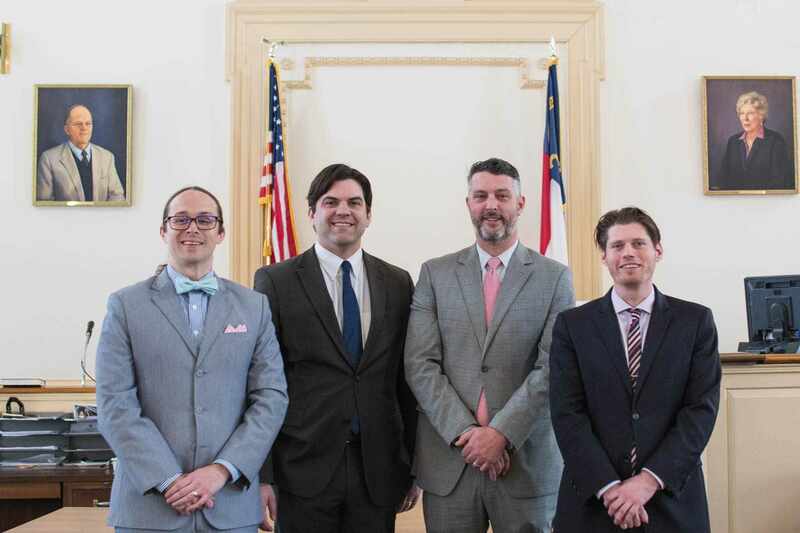 Attorney McClure recommends consulting a licensed North Carolina traffic attorney before you consider paying off your ticket. I live outside of North Carolina, but I received a traffic ticket in North Carolina. Will the citation affect my license and/or insurance? Possibly, depending on your state’s laws and DMV guidelines, you may be subject to increased insurance premiums and license points. A number of states (North Carolina included) have traffic laws that can cause an out of state speeding ticket to affect your license and insurance. Attorney McClure advises speaking with an attorney from your state or the DMV for information about how a ticket can affect you. Can I save money by going to Vance County court by myself? Absolutely, you can avoid the cost of legal representation by going to court yourself. However, what is the opportunity cost? Losing a vacation day (or two or three) at work? Babysitter? 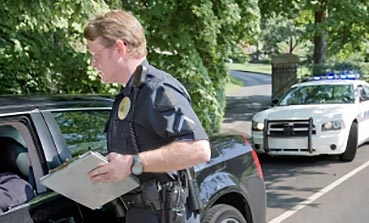 Going to court to handle a ticket can be an uphill battle for someone who is not an attorney. It isn't uncommon to spend several hours waiting in line just to speak with an Assistant District Attorney - a person whose entire career revolves around prosecuting these types of offenses to the fullest extent of the law. This person is prohibited from giving you advice about how your conviction will impact your license or insurance. 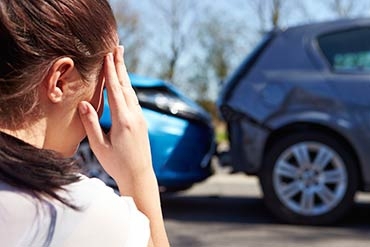 If you decide to fight your ticket, your hearing will likely be continued to a future date, meaning you must miss then another day of work just to finalize your case. 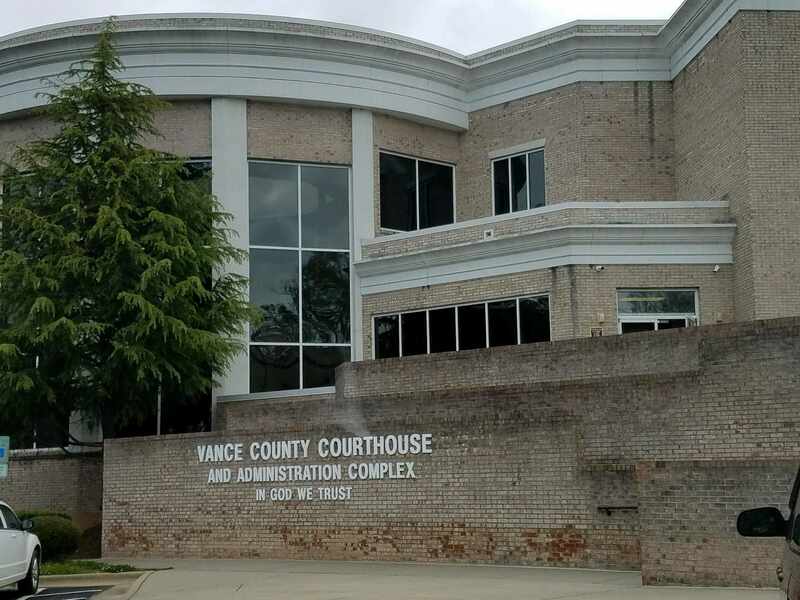 How much are court costs and fines in Vance County? An Improper Equipment comes with Court Costs and Fines of $263. A reduction in the speeding to 5/9mph over comes with Court Costs and Fines of $203. A Prayer for Judgment Continued reduction comes with court Costs and Fines of $190. A reduction in the speeding to 14mph over comes with Court Costs and Fines of $203. A Exceeding the Safe Speed charge with Court Costs and Fines of $213. A Voluntary Dismissal results in zero Court Costs and Fines. When (and how) are my court costs and fines due to Vance County? In Vance County, most times you have to remit court cost payments before your case can be closed. This means that once Attorney McClure negotiates a beneficial outcome, you have to mail payment to our office so that he can bring in your court cost payment with a signed waiver in order to successfully close your case. Who is the current elected District Attorney in Vance County? The current elected District Attorney of Vance County is Michael D. Waters . He is the DA for the 9th Prosecutorial District. That district includes Vance, Granville, Warren, and Franklin Counties. My driving record isn’t the best and I have another traffic ticket. Will you still be able to assist me? Attorney McClure has experience helping a wide variety of clients. From clients with spotless records to clients with many traffic violations, Attorney McClure has helped to minimize the amount of damage that a traffic citation can cause your insurance and your license. Even if you don’t have a great driving record, we encourage you to contact us for a free consultation. Can attending a driving school class help my traffic case? In certain cases, attending certain drivers education classes can make you eligible for greater levels of reduction. Feel free to contact our office at 919-200-0822 to determine whether or not a driving school might be beneficial to you. How does a traffic conviction in Vance County affect my insurance costs? Click to hire Traffic Attorney McClure in Vance. Vance County Traffic Attorney Garen McClure works for you, not for the court. A police officer and the District Attorney have common goals. You need an advocate with only your interests at heart.